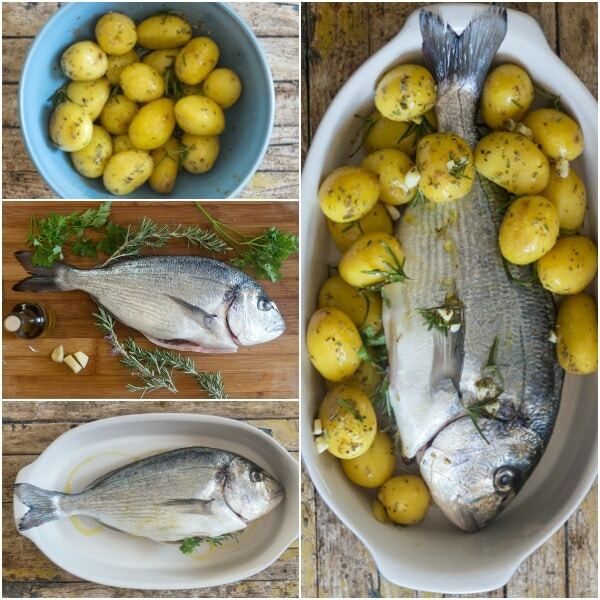 Baked whole Trout, Sea Bass or Sea Bream, a delicious way to bake your fish, the Italian way. Stuffed with fresh herbs, garlic and olive oil. 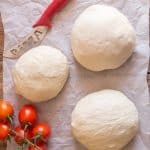 With Christmas just around the corner, Italians are planning Christmas Eve Dinner probably as much as they are Christmas Day Lunch. December 24th is a complete fish day. In other words no meat allowed! 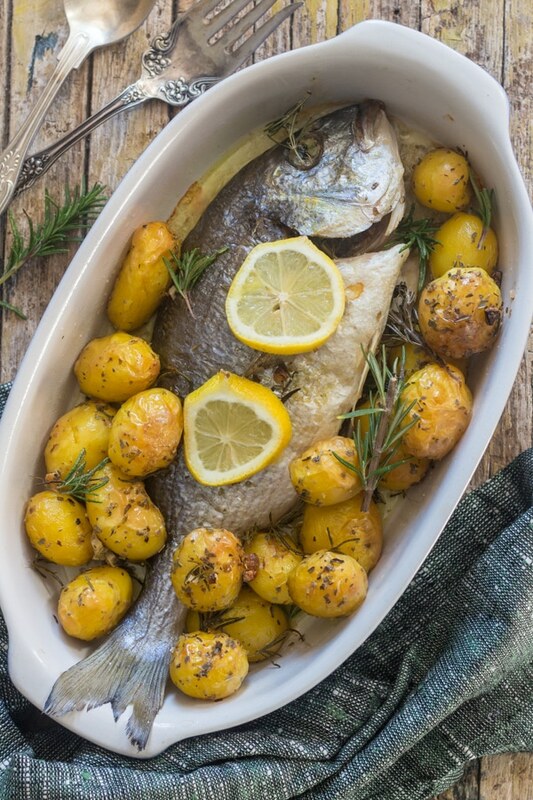 I am not a big fish lover, but when I first tried Baked Whole Trout, and it was served with some simple Roasted Potatoes and Rosemary, it became one of my favourites. This is one of the first Fish Dishes that I had ever tried. My friend invited us over for dinner and we were served this Italian specialty. There is nothing difficult about making this Baked Trout recipe, all you need are a couple of whole fish, you decide which you prefer. 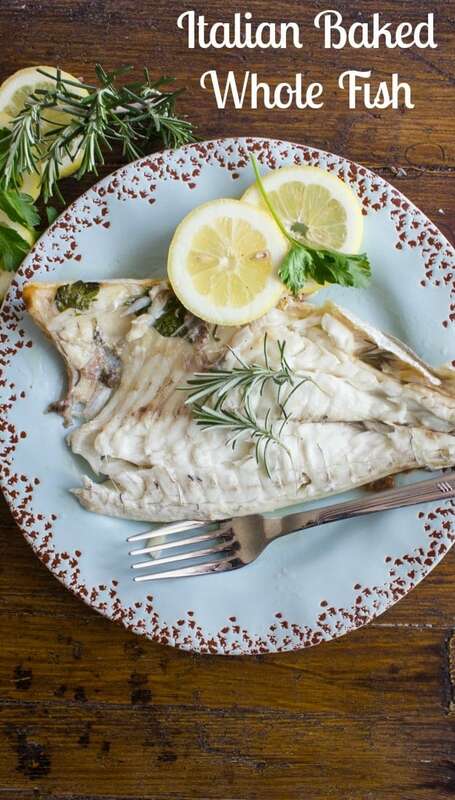 How long to bake Trout, Sea Bass or Sea Bream? I usually bake an approximately 2 pound (1 Kl) trout, Sea Bass or Sea Bream at a temperature of 375F (190C). Usually takes about 45 minutes but to be sure the internal temperature should be 145F (62C). 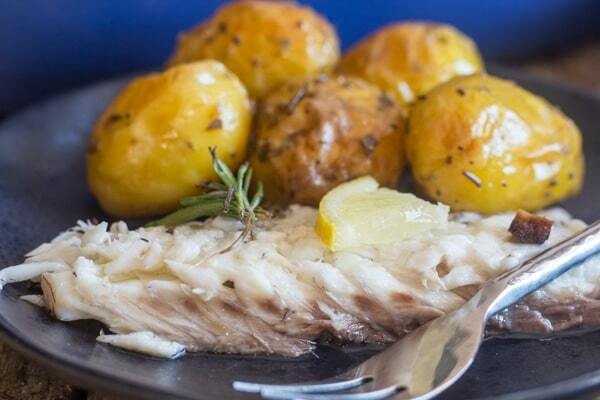 A perfect baked fish should flake easily with a fork and never dry. This is one of the easiest and most delicious fish recipes to make and to eat. Clean and gut the fish. (I leave the head but you can remove it if you wish). Sprinkle a couple of pinches of salt on and in the whole fish. Add in the following order in the cavity of each fish, 1 tablespoon of olive oil, 1 garlic clove cut in half, 5 sprigs of parsley and 1 or 2 sprigs of rosemary. 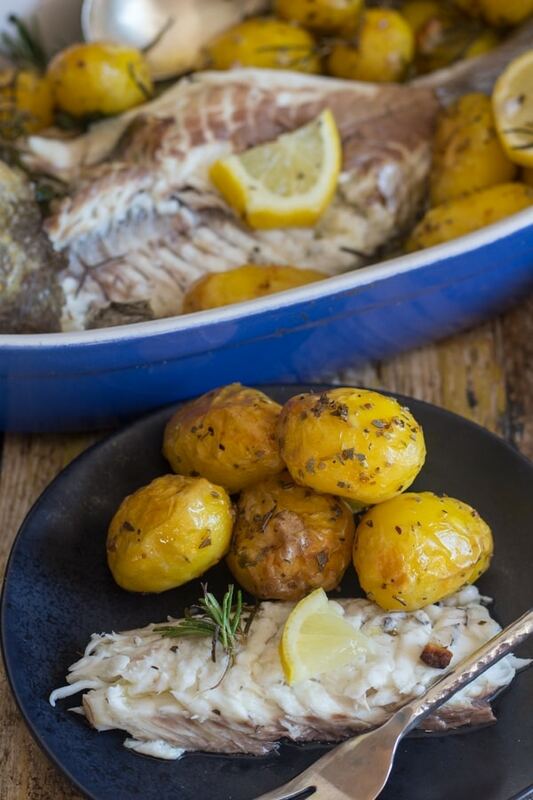 In a large baking dish (fish can be touching but not on top of each other) first drizzle the pan with olive oil, place the fish in the pan and drizzle fish with another tablespoon of olive oil. 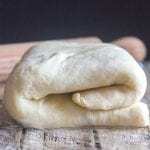 Bake for approximately 30-40 minutes, depending on size (check with an instant read thermometer temp. 140°F). Let sit 5 minutes and then remove skin and bones , place clean meat on a plate and serve with fresh lemon and olive oil if desired. When serving always be careful of bones. *Fish can also be grilled, wrap in foil instead of placing in a baking pan and grill for approximately 30-40 minutes or until cooked. I find either Trout, Sea Bass or Sea Bream are the tastiest baked whole fish. 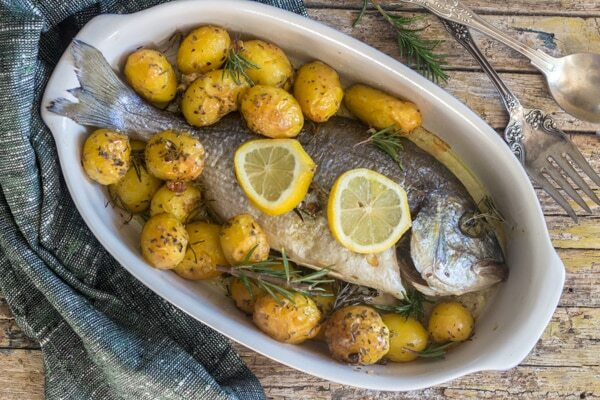 This time I decided to make my Baked Fish with some small new potatoes. I boiled them for about 10 minutes, drained them well then tossed with olive oil, rosemary leaves, salt and oregano. I placed the potatoes around the fish and baked it all together. 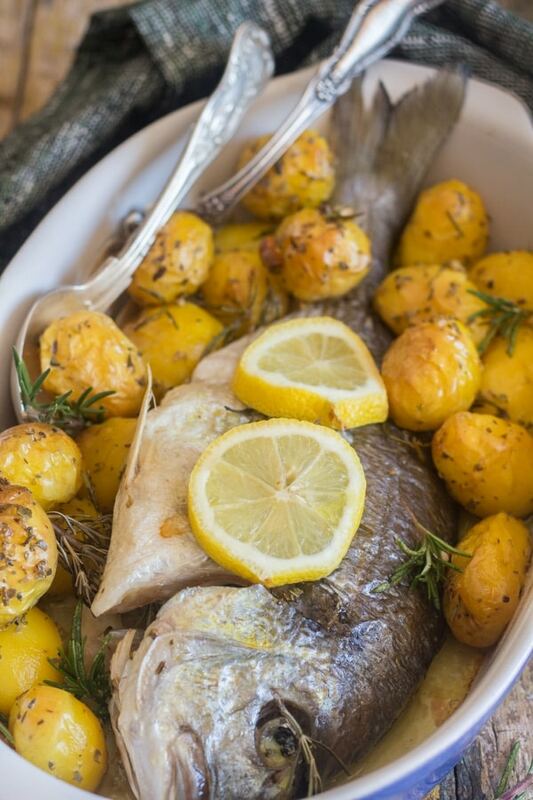 One pan for the perfect fish dinner. So if you serve Fish on Christmas Eve or just because, I hope you enjoy this Baked Whole Trout! Buon Appetito. 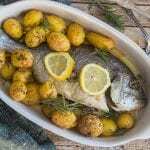 Baked Whole Trout, is an easy healthy Italian baked whole fish recipe. A delicious family dinner. Pre-heat oven to 375°F. 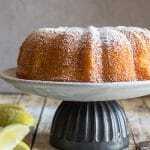 Drizzle a tablespoon of olive oil on a large baking pan. Sprinkle the salt on and in each fish. Place the following ingredients in the order listed in the cavity of the fish. One tablespoon of olive oil, 2 or 3 halves garlic cloves, 5 sprigs of parsley and 1 sprig of rosemary. Place the fish (if making more than one whole fish, then the fish can be touching but not on top of each other) on prepared baking pan drizzle the fish with a little olive oil. Place the small potatoes around the fish. 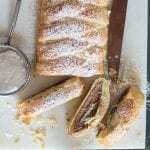 Bake for approximately 30-40 minutes, depending on size (check with an instant read thermometer temp. 145°F (62C)). Let sit 5 minutes and then remove skin and bones , place clean meat on a plate and serve with fresh lemon and olive oil if desired. When serving always be careful of bones. In a medium large pot add the potatoes and cover with water, bring to a boil and lett boil for 8- 10 minutes. Drain and dry with a paper towel. In a medium bowl toss the potatoes with olive oil, garlic, rosemary. oregano and salt.